We've stayed here a few times and we have had no complaints. We enjoy being able to walk around the grounds and to the restaurant and brewery in the same parking lot. Very good location, close to the big city and shopping. Where to find Nashua hotels near an airport? Where can I find hotels in Nashua that are near tourist attractions? Nashua offers 14 Expedia-listed hotel choices. Expedia's network currently offers about 14 apartments and hotels within a 0.1-kilometre (0.06-mile) distance of the center of town. The Fireside Inn and Suites Nashua is one of the most conveniently situated hotels as it is one of a handful of choices that is within walking distance of the Nashua center. 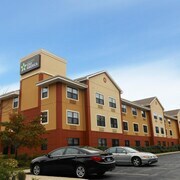 The Fireside Inn and Suites Nashua, Radisson Hotel Nashua and Extended Stay America - Nashua - Manchester could be good hotel choices for those seeking more economical accommodation. 13 kilometres (8 miles) away from the heart of Nashua, is the Stonehedge Hotel and Spa. The The Bedford Village Inn can be found 20 kilometres (14 miles) away. You could also check out the amenities and rates at the Crowne Plaza Nashua or the SpringHill Suites by Marriott Boston Devens Common Center. For those who'd like to see more of the valleys in this part of United States of America, you may choose to plan to spend some extra time in other parts of Southern New Hampshire. You might like to visit local sights or go hiking and afterwards find a comfortable hotel to stay the night. 19 kilometres (12 miles) to the east of Nashua is Salem, where you can spend the day visiting Canobie Lake Park and The Mall at Rockingham Park. The Holiday Inn Salem - I-93 at Exit 2 and La Quinta Inn & Suites Salem are some of the Expedia-recommended accommodation options in Salem. 12 kilometres (7 miles) to the north of Nashua, you'll find Merrimack, home to the Residences at Daniel Webster and Holiday Inn Express & Suites Merrimack. The Merrimack Premium Outlets and Anheuser-Busch Brewery are popular points of interest to see for those visiting Merrimack. Before your Nashua trip draws to a close, why not spend an afternoon hanging out with Manchester sports obsessives at a local sporting fixture. Fenway Park is 55 kilometres (34 miles) to the southeast of Nashua. For travelers who are interested in booking a bed close by, make a reservation in the Mandarin Oriental Boston or Four Seasons Hotel Boston. Manchester-Boston Regional Airport is a nearby airport for flying into Nashua. It is 19 kilometres (12 miles) away. If you plan to stay nearby, try the Homewood Suites by Hilton Manchester/Airport or Holiday Inn Manchester Airport. What are the most popular Nashua hotels? Perfect Location Near Bedford, Burlington and More! 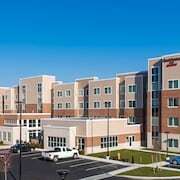 Are there hotels in other cities near Nashua? 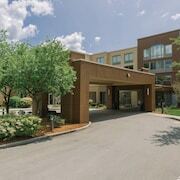 What other types of accommodations are available in Nashua? Explore Nashua with Expedia.ca’s Travel Guides to find the best flights, cars, holiday packages and more!